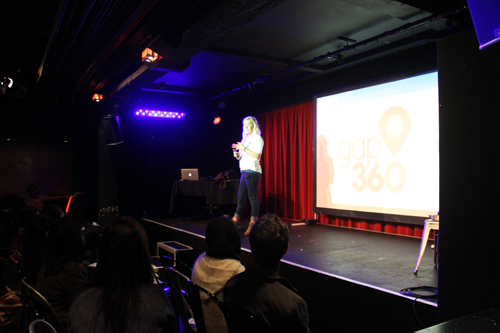 Schools, colleges or universities can book a Gap 360 presentation so students can find out more about the benefits of gap travel. One of our experienced travel advisors will visit your school or university at a date convenient to you. They will deliver an informative and fun presentation, geared towards students who are interested in gap travel. What does a presentation involve? The presentation can be a general overview of gap year travel or it can be more detailed, and if you wish we can tailor it to a specific destination or activity. For example, you may want to focus on paid work opportunities abroad, or look exclusively at volunteering programmes. The presentation can be tailored to suit your organisation's needs, and can be as long or short as you like. Our presentations are accompanied by a PowerPoint, making them engaging and accessible. If you want more information about requesting a visit from Gap 360 or want gap travel materials please fill out the form below. Our Gap 360 travel advisors are mainly in their early 20s, so students can easily relate to them. Our travel advisors have all travelled extensively themselves, so they have first-hand knowledge of all aspects of going travelling. They are keen to share all their experience and know-how with prospective travellers, and are happy to answer any questions you or your students might have. Having a gap travel fair? 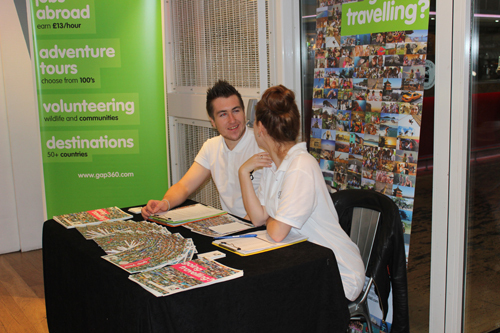 Our travel advisors also regularly attend gap travel fairs to share their knowledge with a wider audience. We provide all our own materials. Gap fairs are a great opportunity to meet budding new travellers and we are always keen to take part. Let us know if you're having a gap or travel fair. Gap 360 has an array of materials available to students. We can provide you with brochures, posters and leaflets about us and our opportunities. If you require any materials please contact, Emily Barnes on [email protected]. Our experienced Travel Advisors offer free gap year advice and would be happy to chat one-to-one with any of your students. To speak to one of our advisors please give us a call on: 01892 527392. We offer several free travel advice downloads. Please fill in your details below to gain access to them. We’ll email you back & follow-up.